Charles D. Gilbert, M.D., Ph.D.
Studies neural mechanisms of visual perception, learning, and memory. Gilbert has pioneered studies into the mechanisms underlying visual perception and perceptual learning at the level of cortical circuits. To this end, he has studied the role of the brain’s visual cortex in analyzing images and in memory. His lab has also explored how the circuitry of the brain and the interactions between neuronal ensembles contribute to visual perception. The Gilbert lab studies the visual cortex, including a series of areas mediating object recognition and perceptual tasks. The job of the visual cortex is to take signals from the retina, group features belonging to objects, and determine their shapes. The lab investigates the mechanism by which this occurs at the level of cortical circuitry. Efforts to map this circuitry have led to a seminal contribution in the field: the discovery of a plexus of long-range horizontal connections that mediate the assembly of contours and the parsing of visual scenes into objects and background. 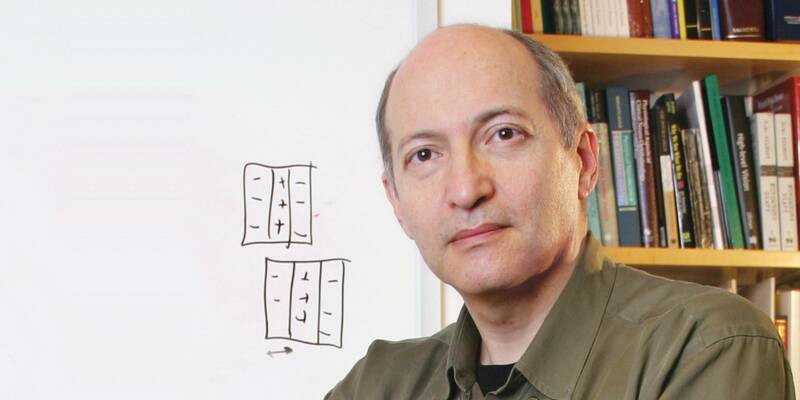 Using a combination of techniques, Gilbert has found close correspondence between the geometry of these connections, the functional properties of visual cortical neurons, and the perception of visual stimuli. The lab also studies the way visual experience shapes the strategy by which the cortex analyzes sensory information, a process known as perceptual learning. The group has found that, even in adults, the visual cortex is capable of altering its functional properties and circuitry. These long-term changes aid in analyzing visual scenes as a result of normal experience and assist recovery from injury. For example, following a retinal lesion that initially silences parts of the visual cortex, the cortex gradually regains its ability to respond to visual stimuli. The lab is studying the molecular mechanisms underlying experience-dependent changes in cortical circuits. Understanding adaptive changes in cortical function provides important insights into the mechanism of recovery after brain lesions and neurodegenerative disease, including macular degeneration. Research in the Gilbert lab suggests each cortical area is an adaptive processor that runs different programs according to the immediate demands of the perceptual task. Object recognition, for example, involves a countercurrent process of feedforward and feedback interactions. The top-down signal conveys information about attentional locus, perceptual task, and object expectation. These results have led to a novel view of cortical processing: Rather than having fixed functional properties, adult neurons are dynamically tuned, changing their specificities with sensory experience and behavioral context. This work is likely relevant to behavioral disorders such as schizophrenia and autism, which have been described as dysfunctions of top-down interactions. Based on these findings, Gilbert’s lab now uses computational models to link cortical circuits and the properties of neuronal ensembles to visual perception. Gilbert and his colleagues use electrophysiology, imaging, and molecular approaches to understand the mechanisms of adult cortical plasticity. This research includes examining the contribution of different neuronal types and circuit components to experience-dependent changes, the circuitry and synaptic mechanisms underlying the dynamic changes in cortical cells in behaving animals, and using human psychophysics to explore the perceptual consequences of dynamic changes in cortical properties. Gilbert, C.D. and Li, W. Top-down influences on visual processing. Nat. Rev. Neurosci. 14, 350–363 (2013). Ramalingam, N. et al. Top-down modulation of lateral interactions in visual cortex. J. Neurosci. 33, 1773–1789 (2013). Gilbert, C.D. and Li, W. Adult visual cortical plasticity. Neuron 75, 250–264 (2012). McManus, J.N. et al. Adaptive shape processing in primary visual cortex. Proc. Natl. Acad. Sci. U.S.A. 108, 9739–9746 (2011). Yamahachi, H. et al. Rapid axonal sprouting and pruning accompany functional reorganization in primary visual cortex. Neuron 64, 719–729 (2009). As you encounter new experiences and form new memories, your brain changes. Now, researchers show that some of these change occur in a brain region devoted to visual perception.